It’s no secret that kids don’t like getting clothes for Christmas. Toys are the way to a youngster’s heart, and with the technology available, you have some pretty cool tech toys to choose from. It doesn’t matter if you’re online shopping with a fast CenturyLink Internet service connection or hitting the mall – here are some expected best-sellers this holiday season. What’s the appeal? Parents want their kids to learn, but don’t necessarily want their kids to know they’re learning. The LeapPad2 from LeapFrog is expected to be a big seller because of its interactivity, App center and progress tracking. Choose from a wide variety of educational and dynamic apps, while keeping your little one away from your Tablet or smartphone. Cost? Prices vary, but hold steady around $100. What’s the appeal? 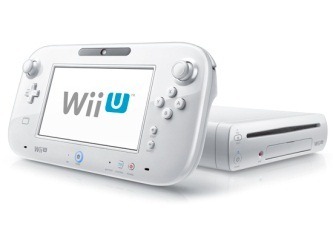 Even though Wii technology has been around for quite some time now, the Nintendo Wii U is the first of Nintendo’s gaming consoles to support high-def graphics. You can use the touch screen to control the game on your TV screen, use it in multi-player games, use it as another gameplay perspective, or even use it alone as your main screen. Cost? The Basic set costs about $300. What’s the appeal? For something fun and less expensive than a game or Tablet, check out Hasbro’s Furby. The Furby has made a strong comeback, thanks in part to cool new technology, including a new app that translates Furbish to English. Furbies now come in an assortment of colors like Rain Cloud, Orangutan, Cotton Candy and Starry Night. Cost? Retail for about $60. What’s the appeal? For a Tablet that is still functional but less expensive than the LeapPad2, Vtech’s InnoTab 2 is a great option likely to fly off the shelves before the end of the year. This learning Tablet comes equipped with a rotating camera, hundreds of apps and even comes in pink. Cost? The InnoTab 2 retails for around $70. What’s the appeal? Games that incorporate exercise are starting to become all the rage, thanks to innovations like the Wii and games like Dance Dance Revolution. Twister Dance teaches you dance moves by illuminating the Twister spots, and doesn’t require a gaming console. Dances are categorized into Beginner, Intermediate and Advanced levels. This game can also teach you dances to music you plug in with an MP3 player. Cost? Twister Dance retails for around $35.